With hundreds of scenic highway drives throughout this beautiful land, an opportunity for a much-needed escape just might be around the next curve. A scenic driving vacation lets you decide where to turn off for a picnic, which winery to visit for a savory sample, and whether the world’s largest ball of twine is really a must-see like the billboard said. All you need is the ideal scenic highway. 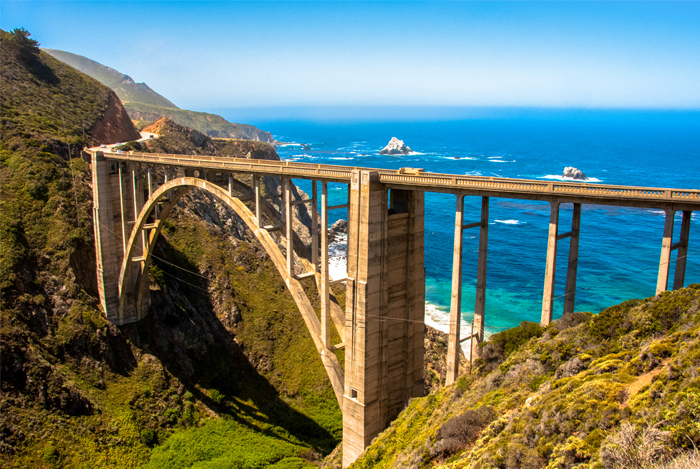 The most ideal, the most scenic is the Pacific Coast Highway – America’s premier drive down Route 1 and Highway 101. Known as Route 1 in California and The 101 farther north, this fabled scenic highway follows the Northwest Pacific coast from the sandy beaches of Southern California coast to the rugged coastline of the Pacific Northwest and the Oregon coast. Along the way, the Pacific Coast Highway passes through quaint coastal towns, numerous national parks and wildlife refuges, concluding around Olympic Peninsula in upstate Washington. This is the road driving was invented for-the road where car commercials are filmed. On the Pacific Coast Highway, you don’t crack your window for a bit of air, you roll it down all the way to feel the wind blast through your hair like a lighthearted tornado. Take windows out of the equation completely and have your travel advisor secure you a convertible-a new BMW or a ’65 Mustang-for the wind and the motor are the only two elements you’ll need. Whether you drive up the California coast or down the Oregon coast, either direction you drive is like a movie you don’t want to end, with scenery changes and cliffhangers to keep your eyes wide at all times. Most drivers, though, begin at the Southern California coast near Santa Barbara and work their way up the Northern California coastline, where lavish resorts are harmoniously juxtaposed against pristine sandy coastal beaches. 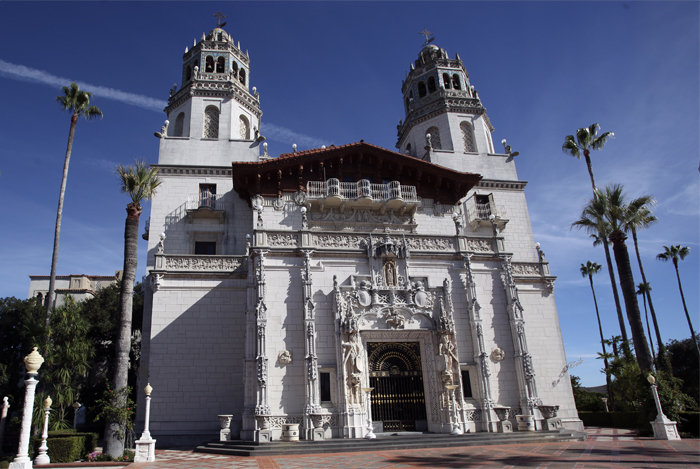 The first major must-see attraction on Highway 1 is Hearst Castle in San Simeon, a surreal mansion with 165 palatial rooms built by eccentric billionaire William Randolph Hearst, where zebras-yes, zebras-roam the lands. 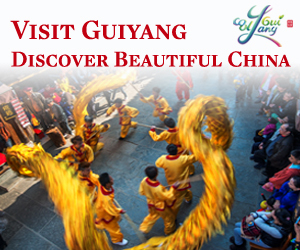 Booking a tour is highly recommended, so ask your travel advisor for tickets to Tour No. 4, the garden tour, to spend the most time in the opulent gardens and around the extravagant Roman-themed swimming pool. The Pacific Coast Highway north of San Simeon is truly where the scenery becomes one with the pavement, as the serpentine road twists along cliffs that drop hundreds of feet into the sea, winding through several state parks where sea lions sleep on hidden beaches. This section of the highway runs through Big Sur, where you can eat lunch at Nepenthe, a cliffside house built by Orson Welles for bride Rita Hayworth, and through Pacific Coast Highway near Monterey on Highway 1Monterey, home of the renowned Monterey Bay Aquarium. From Monterey Highway 1 carves past popular San Francisco and Sonoma, bringing you near some of northern California’s best-hidden inns. The Jenner Inn in Jenner is spectacularly located where the Russian River meets the Pacific Ocean, with specialized cottages for all tastes. Seventy miles north in the small village of Elk, the Harbor House Inn, built entirely of redwood, stands on the ocean’s front door with eternity all around, creating a view words will never do justice. Stay for several nights and explore the heart of California’s redwood country. Changing lanes, the Pacific scenery throughout Oregon’s coast-hugging section of Highway 101 is unrivaled, with some of the most spectacular vistas found between Florence and Lincoln City. Quite possibly the best view on the entire Pacific Coast Highway is at Cape Perpetu, a scenic area just south of Yachats where your eyes will have to stretch far to encompass all 150 miles of visible coastline. Olympic Penisula and Olympic National Park on the Pacific Coast Highway – Highway 101Farther north in Washington, a state known for its dense wilderness, a world famous beach will enchant The 101 travelers. The Long Beach Peninsula boasts one of the longest beaches in the world, with a 28-mile stretch of public beach that’s a joy to walk, but not for the entire length. Afterwards, Highway 101 dives into the wilderness with the gusto of a wild boar, ending up in the Olympic Peninsula, where Olympic National Park lets you hop out and sink your teeth into one of America’s most intriguing rain forests. With thousands of opportunities and unique places to stop and gaze at the natural wonders of the coast, you’ll have many chances to make the Pacific Coast Highway your own. Whichever part of The 101 you spend the most time in, remember to never drive at night, for daylight is essential to enjoying the awe-inspiring sights. Pacific Coast Highway lighthouse at Caple Blanco Oregon coastAnd rushing is never an option. Travel Advisor will be able to space out your hotel reservations and activities along the road to supply you with ample time to enjoy the hum of the motor at your own pace. 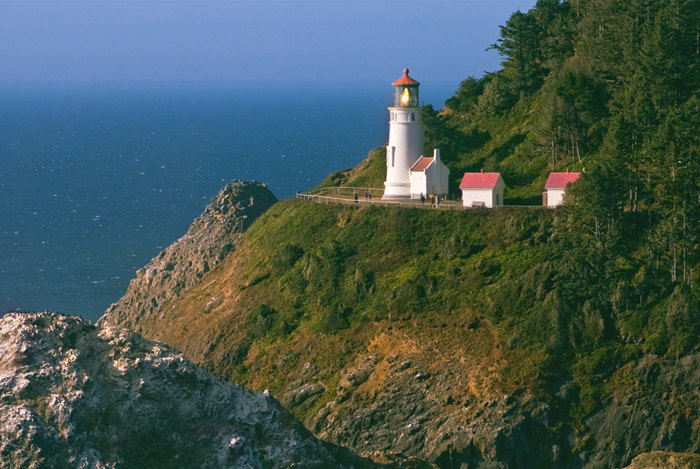 A good travel advisor can set up tours of Hearst Castle or Redwood National Park in California or lighthouses at Cape Blanco in Oregon, while finding the best resorts and inns along the way. Take the long way, for the rewards are limitless. Get your motors running. Contact your friendly neighborhood travel advisor today.